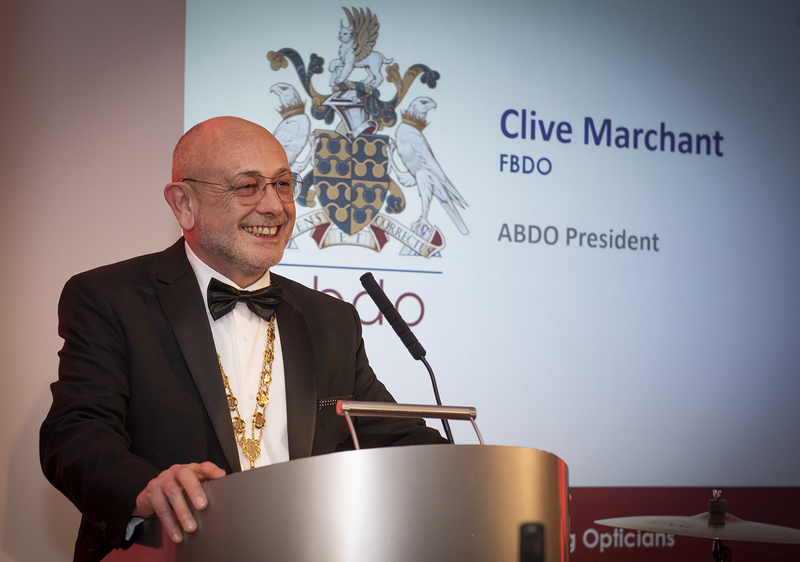 The Association of British Dispensing Opticians (ABDO) recognised a number of key contributors to the profession during its annual dinner which took place on 31 March in Birmingham. The Medal of Excellence was awarded to ABDO Regional Lead for the South West Max Halford. In a career in optics which has spanned more than 25 years, Max has made a significant contribution both clinically and politically. Since 2009 Max has been on Devon LOC in roles including Chair, Commissioning Lead and Lead on Diabetic Retinal Screening. He works in MECS clinics three days a week and encourages and supports CLOs to undertake the qualification. He has also been asked to work within the Urgent Care Eye Department of the local acute hospital to see how improvements can be made to this secondary care service. Max has led a group of opticians across the south of England to help support, coach and develop them onto LOCs. As a Regional Lead for ABDO, he manages a group of DOs who sit on LOCs across the South, as well as advising and supporting colleagues on all aspects of primary and secondary care, community and enhanced services. The Hamblin Memorial Prize was awarded by Boots’ Professional Programmes Tutor for Dispensing Les Thomas to Paula Stevens. This prize was instigated by Paul Hamblin when chairman of Theodore Hamblin opticians in memory of family members whose profession had been dispensing optics. Paul Hamblin understood the importance of optics and its place in providing patients with vision at its best. Paula Stevens was nominated for the award in recognition for everything she has done to help fellow dispensing opticians since she started as ABDO Head of CET in 1999, setting up the department in advance of CET becoming mandatory for dispensing opticians. When required she has always taken the time to explain things with utmost patience to non-optical members of staff, making their own tasks more interesting. Since stepping down from her full-time role, Paula has continued to contribute to the distance learning programme and ensured a seamless handover. Earlier in the month ABDO President Clive Marchant had also awarded Life Membership to Andrew Keirl for his enormous contribution and dedication to optical education as author of numerous publications, principal examiner in Professional Conduct, Abnormal Ocular Conditions and Standards of Optical Practice and as an ABDO Dispensing Practical Examiner. Andrew Keirl has worked in optics for more than 35 years and has been a Dispensing Practical Examiner for more than 30 years. Alongside his longstanding and continuing support to students, Andrew has provided invaluable help and support to the Malaysian staff teaching professional conduct. He has also provided advice and guidance on standards of practice to ABDO when revising the syllabus and new examinations.